To celebrate the Royal Wedding, Gretna Green Famous Blacksmiths Shop invited along a very special group of VIPs. The identity of these VIP guests was kept ‘top secret’ to avoid any speculation, but they were in fact Very Important Pre-School children from Sparklers Nursery in Gretna! 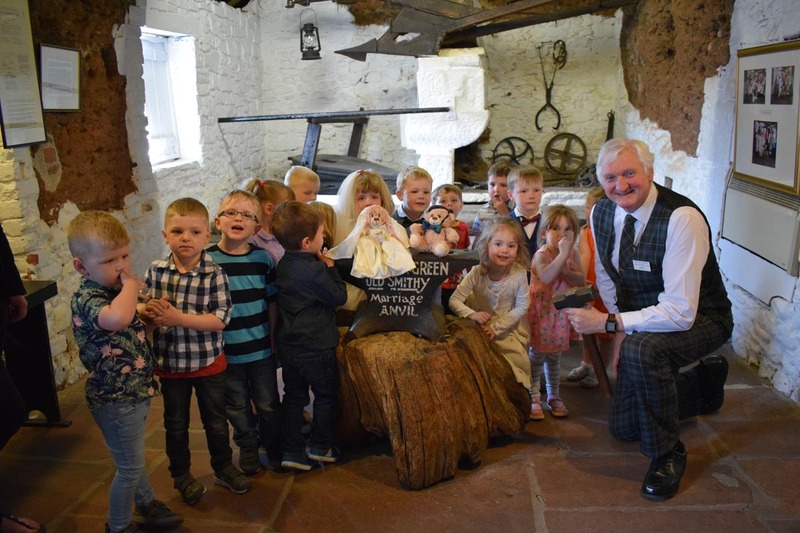 The group of nursery children, aged 3-5 years, were treated to a fun and interactive experience in the Famous Blacksmiths Shop Museum. They were given the opportunity to learn about the history of Gretna Green weddings, and focussed on Price Harry and Meghan’s special Royal Wedding. 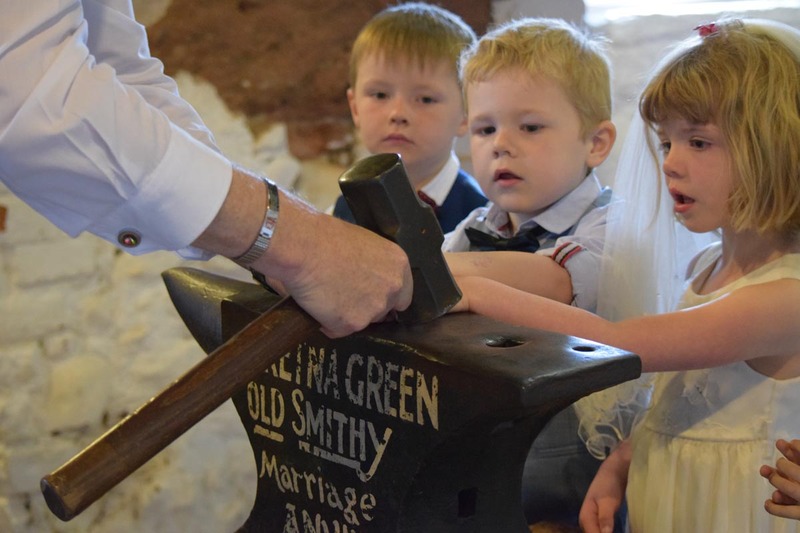 Once the vows were agreed, the children experienced what it would be like to sign their marriage certificates and become a married couple in the Gretna Green Famous Blacksmiths Shop. To celebrate their new promises, confetti was thrown, snacks and drinks (orange/apple juice!) were consumed and gifts were shared - just like a real wedding! The ‘wedding party’ also enjoyed having their ‘wedding photos’ taken by both their nursery and the Gretna Green team; even posing with the Gretna Green bears, Millie Bear and Mackie Bear – who were also dressed-up in celebration of the Royal Wedding! The outing was well received by the VIP’s. Sparklers Nursery said that the children loved having their very own special wedding and enjoyed the whole experience from start to finish. As a five-star tourist destination and historic museum, we welcome groups of all shapes and sizes and offer extra special visits for primary school and nursery aged children, including free entry! 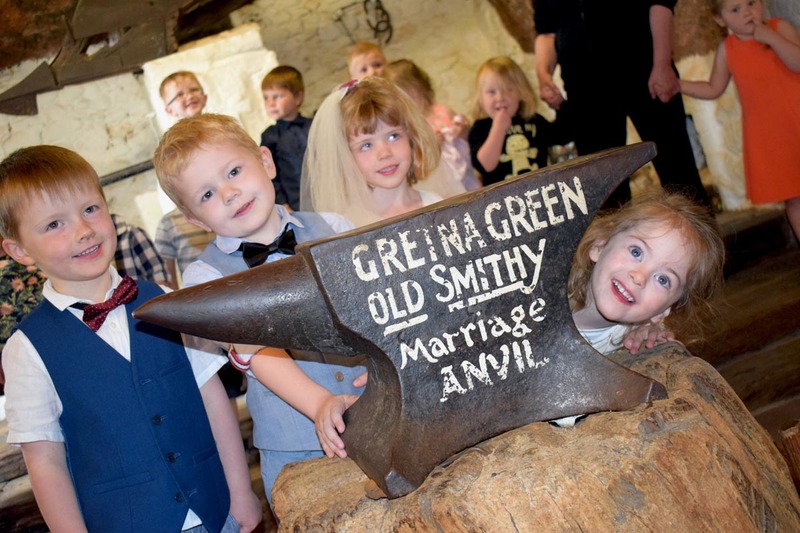 If you would like your school or nursery to visit Gretna Green Famous Blacksmiths Shop please call 01461 337893 or email blacksmiths@gretnagreen.com.